The Chairman of the Electoral Commission (EC), Dr Kwadwo Afari-Gyan, yesterday affirmed his declaration of President John Dramani Mahama as the winner of the December 7 and 8, 2012 presidential election and prayed the Supreme Court to dismiss the petition challenging the declaration. He, accordingly, asked the court to reject the petitioners’ allegations of gross and widespread irregularities during the presidential poll. He began his evidence-in-chief on May 30, 2013 and took three days to complete. Continuing with his evidence, the Returning Officer of the December 2012 presidential poll denied claims by the star witness of the petitioners, Dr Mahamadu Bawumia, that polling agents were “mere” and/or “exalted” observers during the election. Averting his mind to Dr Bawumia’s description of polling agents as mere and later exalted observers, Dr Afari-Gyan indicated that there were local and foreign observers whose role was just to observe and write a report at the end of the polls. Polling agents, he declared, played a crucial role in elections because they signed pink sheets issued at polling stations and took copies for their various political parties. The EC Chairman informed the court that he had looked at some of the pink sheets and admitted there were errors, but insisted that irregularities with “built-in intention” must be separated from genuine errors, adding that “a person perpetuating fraud knows what he has done”. He said candidates in elections “should take responsibility for the agents they appoint” and admitted making a statement to the effect that persons who did not undergo verification would not be allowed to vote. However, he insisted he made that statement on the grounding that each occurrence must be looked at on its own merit because there were various scenarios. Controverting the petitioners’ allegations of over-voting, Dr Afari-Gyan said the classical definition of over-voting was either 150 per cent or 175 per cent, as had been alleged in the past to have occurred in the Volta and the Ashanti regions, respectively. According to him, if such incidents occurred, the EC would not hesitate to cancel the results outright because those scenarios constituted a classical definition of over-voting. That, to him, was a clear example of the number of ballots cast exceeding the number of persons on the voters register. He also indicated that nowhere in Ghana had it been shown that a classical definition of over-voting occurred, emphasising that “no place in Ghana shows more people voted than the number of persons on the register”. With Dr Afari-Gyan nearing the ambit of his “lecture”, Mr Justice Jones Dotse politely directed Mr Quashie-Idun to bring his client in tune with courtroom procedures, to which counsel obliged. Still speaking on the issue of over-voting, Dr Afari-Gyan stated that if he noticed any form of irregularity in the form of excess votes, he would subject that pink sheet to close scrutiny and re-do what the presiding officer had done before taking a decision. Giving his reason, he said that was because voters had the constitutional right to vote and it was, therefore, important to carefully scrutinise pink sheets before taking a firm decision. Responding to allegations of 2,009 pink sheets not having signatures of presiding officers, Dr Afari-Gyan replied that the EC’s analysis indicated that 905 pink sheets had, indeed, not been signed by presiding officers, representing a figure of 3.5 per cent. He stressed that nobody could have signed on behalf of the presiding officer and explained that signing a pink sheet was only one of the many roles of presiding officers during election. He cited some of the roles of presiding officers as supervising the election all day, making entries on pink sheets, counting ballots in the open and announcing results, adding that for that reason the EC acknowledged why some of the pink sheets were not signed. While admitting that a presiding officer not signing a pink sheet constituted an irregularity, Dr Afari-Gyan said that would not affect the validity of the results, especially when polling agents signed the sheets. Touching on the allegations of two polling stations having two different pink sheets with two different results, Dr Afari-Gyan explained that that situation arose out of special voting. He also stressed that serial numbers did not have any significance on the declaration of results, adding that the EC had demonstrated that the alleged 22 unknown locations where voting was alleged to have taken place were all part of the total 26,002 polling stations across the country. 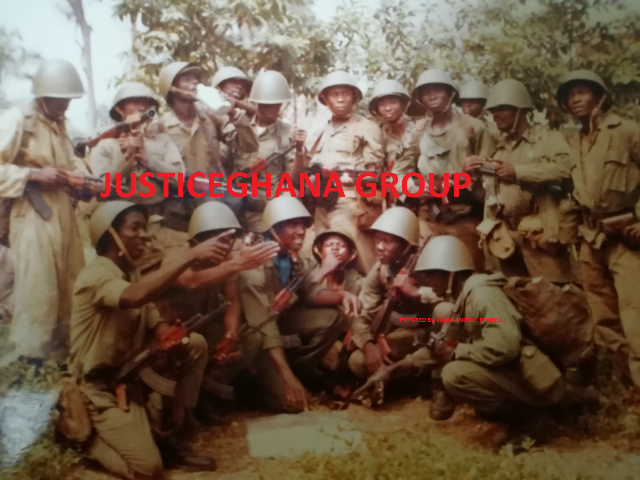 A spectacle ensued when three lawyers, namely, the lawyer for the petitioners, Mr Philip Addison; counsel for President Mahama, Mr Tony Lithur, and the lawyer for the NDC, Mr Tsatsu Tsikata, passed the buck and refused to be the first to cross-examine Dr Afari-Gyan after he had completed his evidence-in-chief. While Mr Lithur and Mr Tsikata insisted Mr Addison did the cross-examination first before they could come in, Mr Addison held a different view and quoted Section 75 of the Evidence Act to support his case. On realising none of the lawyers was prepared to first cross-examine Dr Afari-Gyan, the court went into a short recess and returned with a unanimous ruling directing Mr Lithur and Mr Tsikata to complete cross-examining Dr Afari-Gyan before Mr Addison did his. Basing its decision on Section 69 of the Evidence Act, the court held that that section gave the court the power to exercise reasonable control over cross-examination to make a presentation rapid and understanding, as well as protect a witness. Giving a practical example, the court said it wanted to avoid the situation where Mr Quashie-Idun resorted to re-examining the General Secretary of the NDC, Mr Johnson Asiedu Nketia, instead of cross-examining him. During cross-examination of the EC boss by Mr Lithur, Dr Afari-Gyan said he did not receive any complaint of double voting, adding that the issues of ballot stuffing and over-voting could not occur following the introduction of the biometric voting system. He said the EC did not detect any fake stamps on the back of ballot papers, while his outfit did not receive any report on the introduction of any foreign material into ballots cast. Dr Afari-Gyan was given 147 pink sheets to study, but the court ended its session and urged parties to continue sorting out, while the matter would be called today. The presiding judge, Mr Justice William Atuguba, urged parties in the case to remind the court to look into the misunderstanding between them on the mode of the conduct of audit into pink sheets presented to the Supreme Court Registry. Earlier, the EC had tendered in evidence the registers of four polling stations to rebut allegations of over-voting in some polling stations during the December 7 and 8, 2012 presidential election. Three of the registers, which were allowed in evidence through separate rulings by the Supreme Court, showed clear discrepancies on the number of registered voters recorded on the pink sheets and the number of registered voters as captured by the polling station registers. For instance, a pink sheet from the LA Dodi Primary School polling station in the Eastern Region recorded 342 people as having been registered to vote at that polling station, with 347 being the ballots cast at that polling station. Per the record on that pink sheet, the petitioners are alleging a case of over-voting, but Dr Afari-Gyan tendered in evidence the polling station register at that polling station which said 629 people had been registered to vote at that polling station. Another register tendered in evidence to disprove allegations of over-voting as captured by the pink sheet was that of New Market Polling Station in the Kintampo North Constituency in the Brong Ahafo Region. The pink sheet from that polling station indicated that 584 people were on the register, with 591 ballots being cast there, thereby showing an excess vote of 9. However, Mr Quashie-Idun led Dr Afari-Gyan to tender as an exhibit the polling station register for New Market Polling Station which indicated that 773 people, not 584, had been registered to vote. A pink sheet from the Temporary Booth Polling Station at Jenpini indicated that the number of registered voters was 21, while the number of ballots cast stood at 67, but the register had 71 registered voters, not 21, as had been indicated on the pink sheet. Mr Quashie-Idun also directed his witness to read out a pink sheet from PB Kwabena Akura Polling Station in the Ashanti Region which had been given two separate exhibit numbers. He also sought to tender the register for PB Kwabena Akura Polling Station to buttress the EC’s claim that the register, and not the pink sheet, was its primary source of reference in the event of a discrepancy, but Mr Philip Addison objected and indicated that the document was not part of the EC’s case. He also argued that all reference must be made to the pink sheet. Mr Addison held that there was no indication that the register the EC was seeking to tender had been used at the polling station during the election. Counsel said that was because there was no marking or ticking of names of persons who voted at that polling station to indicate it was a genuine register. In an 8-1 ruling, with Mr Justice Baffoe-Bonnie dissenting, the court overruled Mr Addison’s objection. The panel members who allowed the PB Kwabena Akura Polling Station register to be tendered in evidence as an exhibit are Mr Justice Atuguba, Mr Justice Julius Ansah, Mrs Justice Sophia Adinyira, Ms Justice Rose Owusu, Mr Justice Jones Dotse, Mr Justice Annin Yeboah, Mr Justice N. S. Gbadegbe and Mrs Justice Vida Akoto-Bamfo. The data captured on the polling station register for PB Kwabena Akura Polling Station said there were 12 registered voters. The pink sheet this time round corroborated the information on the register by indicating there were 12 registered voters at that polling station, with 12 people casting their ballots at that polling station. Mr Addison opposed the tendering of Temporary Booth Polling Station register but the court, in another 8-1 majority decision, dismissed his objection. Mr Justice Baffoe-Bonnie disagreed with his colleagues. During Mr Addison’s objection, he accused the EC of resorting to ambush litigation because it had not tendered in evidence the said registers and had also failed to confront Dr Bawumia when he was testifying for the petitioners. Counsel argued that the register was a new register prepared by the EC, but Mr Quashie-Idun vehemently opposed the allegation. Mr Justice Gbadegbe then advised Mr Addison to confront the EC on those issues during his cross-examination. On December 9, 2012, Dr Afari-Gyan declared President Mahama winner of the December 7 and 8, 2012 presidential poll with 50.70 per cent of the valid votes cast, while the presidential candidate of the New Patriotic Party (NPP), Nana Akufo-Addo, placed second with 47.7 per cent. But on December 28, 2012, Nana Akufo-Addo, his running mate, Dr Mahamadu Bawumia, and the Chairman of the NPP, Mr Jake Obetsebi-Lamptey, filed the petition at the Supreme Court challenging the declaration of President Mahama as the winner of the poll. They are claiming that Nana Akufo-Addo won the election by 59.69 per cent, while President Mahama polled 39.1 per cent, but the request from Dr Afari-Gyan to the Supreme Court is in contravention with the position of the petitioners.